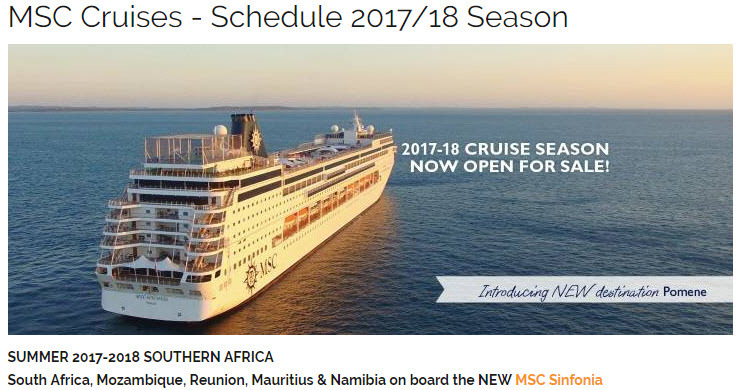 The full Southern Africa cruise calendar is available and it doesn’t make good reading when we compare current departures to those of 2016. 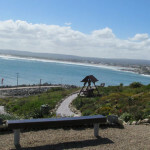 Of the 30 departure dates between 6th January and 15th April, only 4 are ex Cape Town. 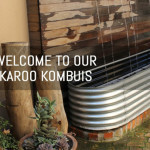 9th January: Cape Town to Walvis Bay– 4 nights. 15th January: Cape Town to Walvis Bay– 4 nights. 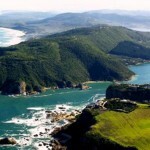 Durban departures are essentially to Portuguese Island, 3 nights and Portuguese Island, Pomene —4 nights. These departures require flights to and from Durban. A brand new sparkling destination for the 2017-18 season is Pomene Bay, a picturesque haven located 605km north of Maputo. You can relax and unwind in Pomene Bay while the Indian Ocean seas lap onto the powdery white sand of this peninsula’s palm-lined beaches on one side and the other welcomes clear waters of a spectacular mangrove estuary. This cruise season is rewarding all early bookings by offering a never-to-be-repeated saving of up to 50% on the standard fares! A deposit of R3,500 secures your booking (within 48 hours), with the balance only due 60 days before your cruise sailing date. Book now to take advantage of the early booking discounts. NB! 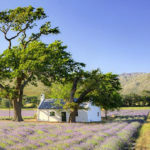 All rates are per person based on 2 people sharing a 2-sleeper cabin and subject to availability, foreign exchange and fuel cost fluctuations. 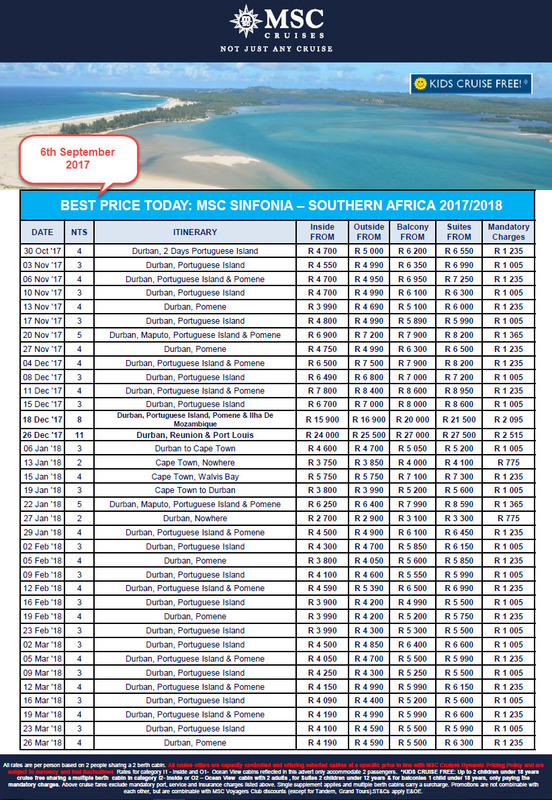 All cruise offers are capacity controlled and offering selected cabins at a specific price in line with Cruises Dynamic Pricing Policy. *KIDS CRUISE FREE: Up to 2 children under 18 years, sharing a four-sleeper cabin with 2 adults, for Suites 2 children under 12 years & for balconies 1 child under 18 years, only paying the mandatory charges. Single supplement applies and multiple berth cabins carry a surcharge. * Passengers must be the age required at the time of completion of travel to benefit from age related discount.